Endodontic Treatment is also known as root canal treatment. Root canal treatment involves the removal of the diseased pulp along with the tooth’s nerve (located within a tooth’s root canal). The pulp chamber and root canal(s) of your tooth are then cleaned, medicated and sealed. A dental crown or other restorative treatment is used to protect and strengthen the tooth. A root canal saves a severely injured, cracked, or decayed tooth when its pulp (the soft inner tissue inside a tooth’s root canal) becomes inflamed or infected and causes pain. If it is not treated promptly, severe pain or a tooth abscess (infection) results. 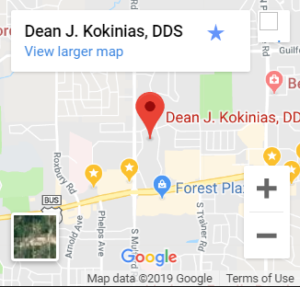 Root canal treatment is completed in one or two office visits, depending on the presence of infection, and the number of canals in the tooth. After restoration, usually by covering the tooth with a crown, the tooth continues to function like any other tooth. Sometimes an endodontic problem can exist without warning signs. In these cases, a digital x-ray taken during a routine dental checkup can reveal the tooth damage. If a tooth has a complex nerve system or curved canals, the patient may be referred to an endodontist for treatment.